The need for a definite accounting standard for cryptocurrencies like Bitcoin isn’t new. As early as 2016, the Australian government’s Australian Accounting Standards Board (AASB) pushed for definite accounting standards for cryptocurrenices and other intangible assets in a position paper. 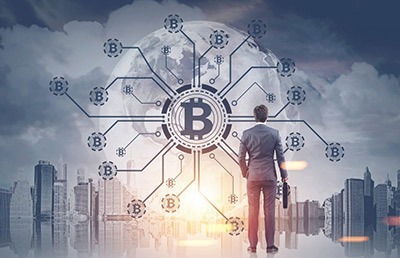 The AASB believes that accountants need some ‘clear guidance’ to be able to follow the current legal regulations and handle digital currencies. Although an IRS notice of 2014 declared Bitcoin as a property/asset which was taxable, there was no clarification on managing its accounting. As a result of this, company-owned Bitcoin holdings started being recorded as non-cash or assets in the general ledger. Others regarded it as an intangible asset. It is also noteworthy that there are no accounting standards to date for any kind of intangible assets for that matter. Why Aren’t There Any Accounting Rules for Bitcoin? Though digital assets like Bitcoin are popular today, many still have their doubts in considering it for the long term. Here’s why. Bitcoin itself is a highly volatile currency and is still in its infancy. With no definite predictability, it becomes difficult to standardize a rule for the same. Bitcoin transactions happen over peer-to-peer networks without the involvement of banks and with almost zero transaction fees. Implementing a rule would impact the transaction fees causing it to rise and getting banks involved will make it more complicated, which goes against the very nature and objective of Bitcoin. Analysts believe that there should be an accounting rule for all kind of intangible assets. And they’re right. On December 9th, 2016, Henri Venter (Director of Deloitte), urged that the International Accounting Standards Board (IASB) should consider setting up a standard for cryptocurrencies such as Bitcoin. However, this proposal didn’t receive much support. Venter strongly urges that there should be a change in existing standards pertaining to investments in intangible commodities including digital currency so that there is a clear guidance to accountants preparing financial statements and enhance the readability of the financial statements. Currently, digital currency is accounted for under IAS (International Accounting Standard) 2: Inventory or sometimes under IAS 3: intangible assets. Some groups consider it as a commodity while others account for it under intangible assets. Venter Proposes that Digital currency be measured at fair value and the changes as profit or loss because valuation changes in bitcoin can be easily tracked and are public in nature. Unlike other fixed assets, Bitcoin doesn’t even require complex depreciation scheduling which makes ascertaining its fair market value way easier. He has also called for an amendment of the current standards to accommodate the same implying changes in the way, cash or cash equivalents, financial assets and measurement guidance in IAS 2 and IAS 38, are defined. Bitcoin also faces bank resistance in that it is highly divisible. While most accounting software stops at two decimal points, bitcoin is divisible up to 8, which is one reason for the IRS is not declaring it as currency. Although there are gaps in the current literature, eventually there seems to be a rising need to bridge the gap and creating a standard for accounting of Bitcoin. However, this doesn’t seem to be happening any time soon because of Bitcoin itself is in its infancy, which makes setting an accounting standard for it, in many ways impossible.